The history of Isle of Wight County mirrors the history of the growth and development of the United States. For this milestone event, the museum tells the county's history through artifacts to give an intimate glimpse into the development of our area as well as its place in Hampton Roads and the world. Purchase your copy of the corresponding book for $28.95 in our museum gift shop. 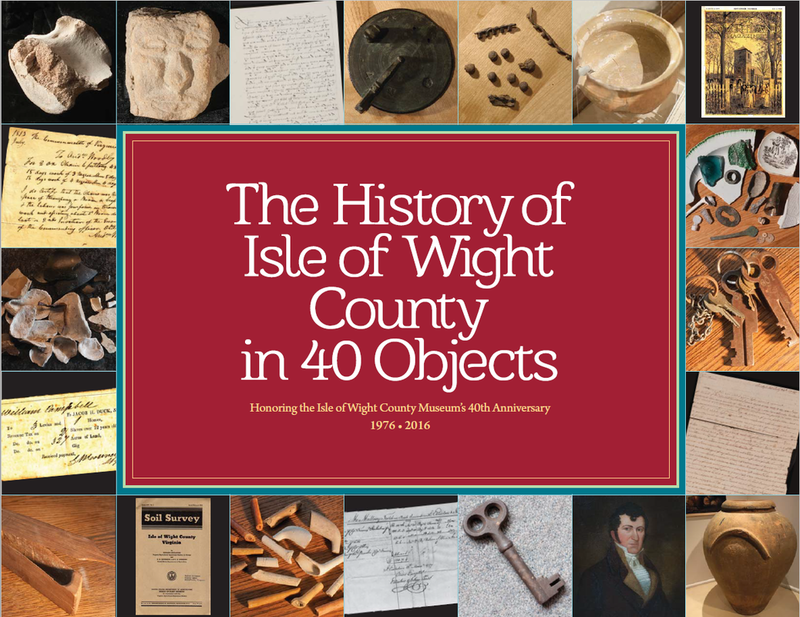 Curator of the Isle of Wight County Museum Tracey Neikirk details each of our 40 objects in this video series. ​Scenes from the anniversary reception on Friday, November 18, 2016.